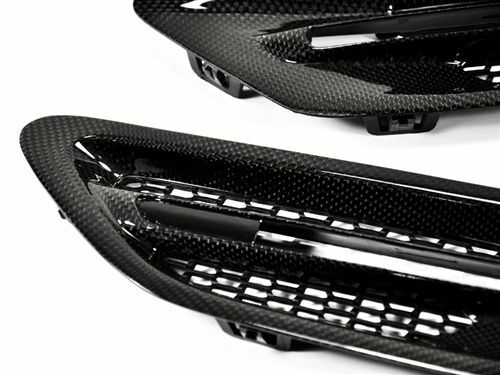 Get rid of those unsightly chrome fender grilles on your BMW F10 M5 with these Carbon Fiber ones. 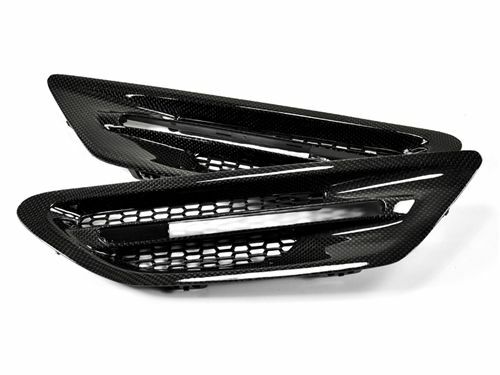 These side grilles are made out of durable ABS plastic or carbon fiber that will never fad or crack. Our new BMW F10 M5 fender grilles are the perfect compliment to black or carbon fiber accessories you have on your M5 already. 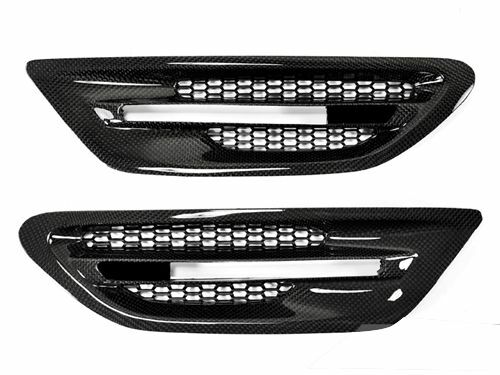 Set your New F10 M5 apart and add a sleek new look with these side grilles. Installation for the Matte Black Fender Grilles for your F10 M5 is rated as easy. Unsnap your current chrome trim and snap in these new trims. Generally this can be completed in just a few minutes.